When Black cuts with (probably questionable) tries to set up a driving tesuji based on White's atari at a. This is one element of many sabaki techniques. Nota Bene: Beginners play atari. This is much better than either available atari play. If White just forces out this way, sits on an ideal point. I think one becomes stronger just by realising that this is entirely the wrong approach to the game. 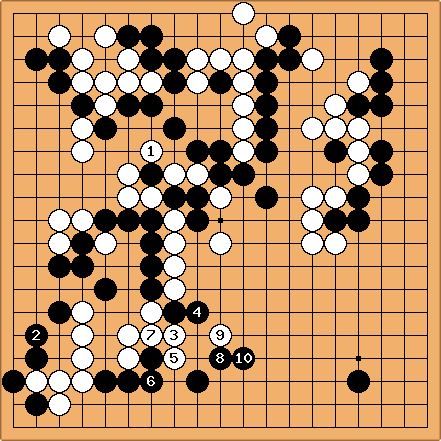 Black's initial cut works badly with , but White has ignored all that. From Yoda's Vital Points and Skillful Finesse for Sabaki. 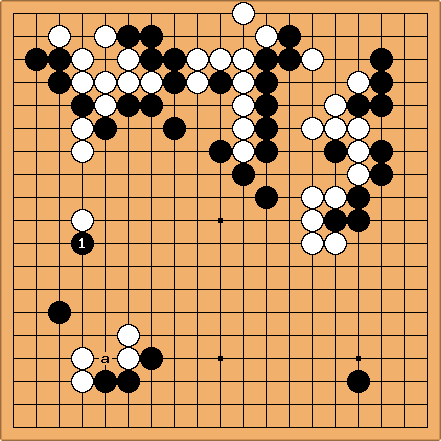 defers white's decision on which atari to make against , setting up both a driving tesuji and impacting . At first glance looks severe, but after white has no difficulties here. If at a white effects the tesuji. This concept has something to do with leaning, but appears at the level of suji. 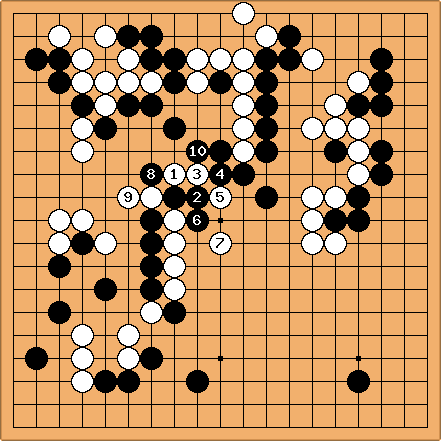 This position is from Cho Chikun - Cho Sonjin (B) in game 2 of the 54th Honinbo final (1999-05-24,25), at move 79. 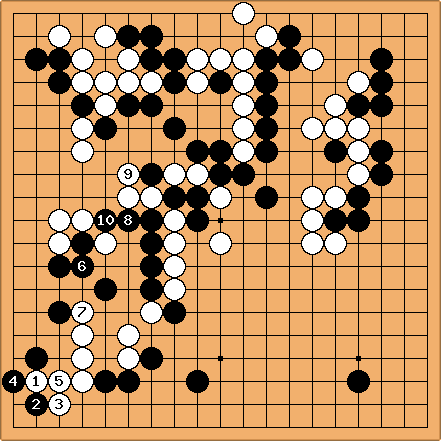 Here again exemplifies one of the most interesting 'feelings' about fighting: that rather than trying directly to cut at a (a failure, according to easy way out of a double kakari), Black should spread the struggle out in an orthogonal direction to take some wider advantage. 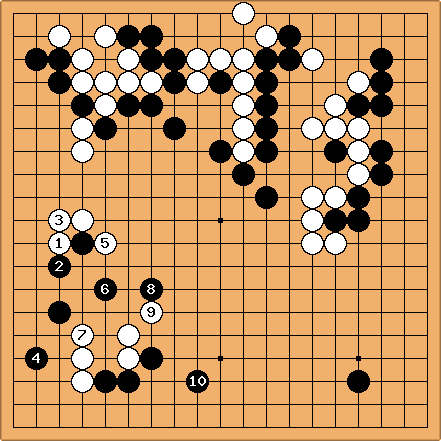 Sometimes the way this is expressed is of 'incorporating' other parts of the board into the fight. Here threatens in one direction while looking in another, which is a variant on the same idea. 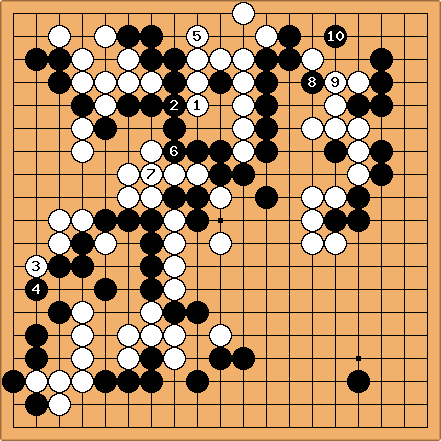 After , White has an attack in the centre. Finally here the fighting affects the opposite corner of the board.